House Minority Leader Nancy Pelosi (D-CA) has long been a tremendously unpopular political figure. But never before has her brand been as politically toxic as it is right now. In the last two days Pelosi has seen poll numbers published that show she’s perhaps the most unpopular politician in the country. Earlier this week, a POLITICO/Morning Consult poll showed that her disapproval rating was at 47%. Today, an even worse poll was released about Pelosi. 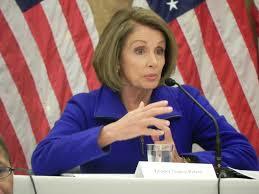 A new NBC News/SurveyMonkey poll found that 64% of Americans have an unfavorable view of Leader Pelosi. Meanwhile, Democrat candidate Jason Crow is likely hiding from Pelosi’s praise at the same event. Already this cycle, House Democrats are distancing themselves from Pelosi. With these latest bad poll numbers, questions about whether Pelosi can stay in leadership will only persist.